Smile Makers provides dental implants in Montgomery, AL. Call 334-277-5498 to learn more and schedule your appointment. Dental implants are considered the gold standard for replacing missing teeth, with a success rate that is upwards of 95%. Not only do dental implants create a highly aesthetic smile, they are also the best choice for your oral health. When teeth are missing, the jawbone begins to resorb. This leads to the sunken appearance that many denture wearers have. In addition, dentures restore only a fraction of original bite strength, making it difficult to eat many foods. Dental implants replace tooth roots, creating a strong, stable foundation for high quality replacement teeth. They reverse jawbone loss and allow you to expand your diet. They even help to stabilize your remaining teeth. 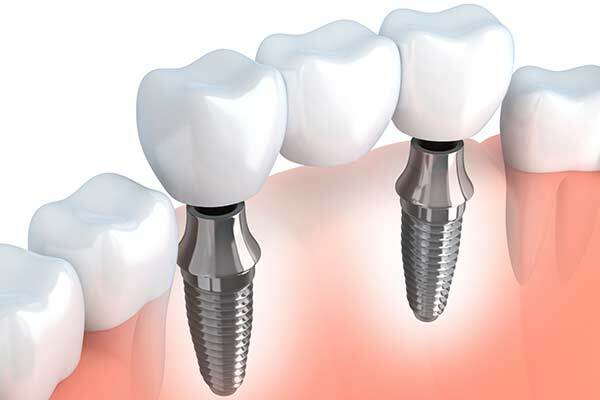 One dental implant can replace a single tooth. 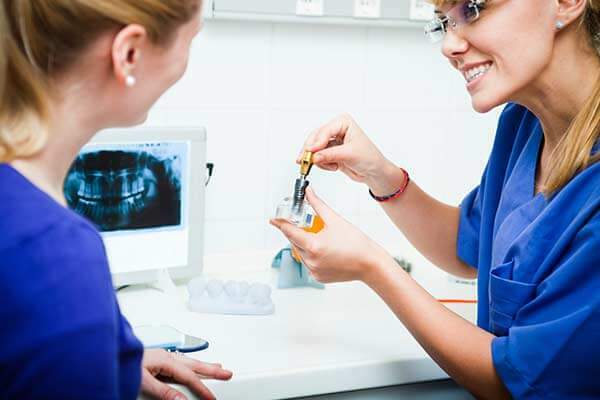 Our skill and experience, coupled with high-tech tools, allow us to precisely fit your replacement tooth to seamlessly blend with the adjacent teeth. 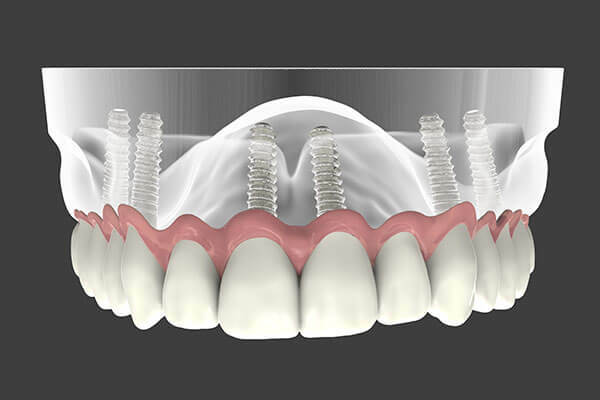 If you need to replace three or more teeth in a row, you might consider an implant supported bridge. While traditional bridges remove healthy structure from the neighboring teeth, an implant supported bridge is anchored to one dental implant at each end. Dentures replace many or all of the teeth in the mouth. Traditional dentures feature bulky plastic that balances on the gums or covers the roof of the mouth, and are prone to slipping and pinching. 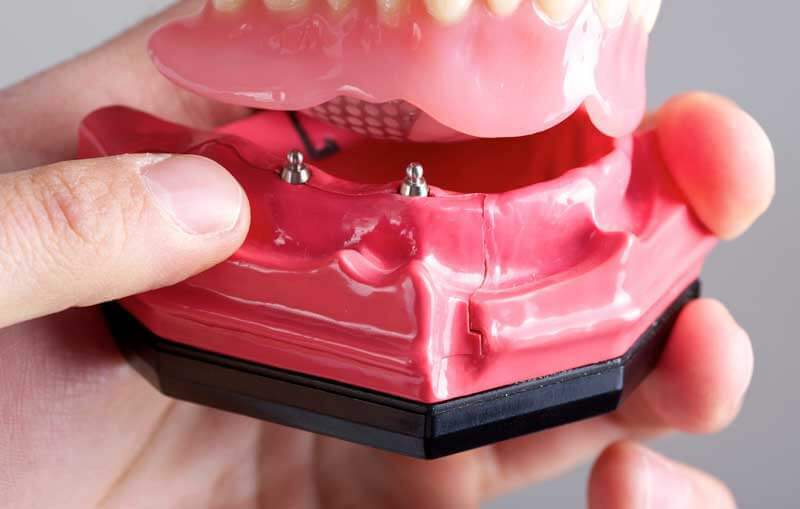 Just two implants can stabilize a removable “snap on” denture, while a handful can support an entire arch of fixed, high quality replacement teeth. If you are missing all of your teeth on the upper or lower arch, or both, consider the All-on-Four. Using just four immediate-load dental implants, we can attach a fixed arch of highly aesthetic replacement teeth at the same time we place the implants. Mini dental implants, or MDIs, are minimally invasive and can be a great choice for those whose jaw is too small or lacks enough bone mass to support full-size implants. MDIs are often placed using local anesthesia and no sutures, and the final restoration can typically be placed the same day. Digital technology allows us to precisely design the location, angle, and depth of each implant. 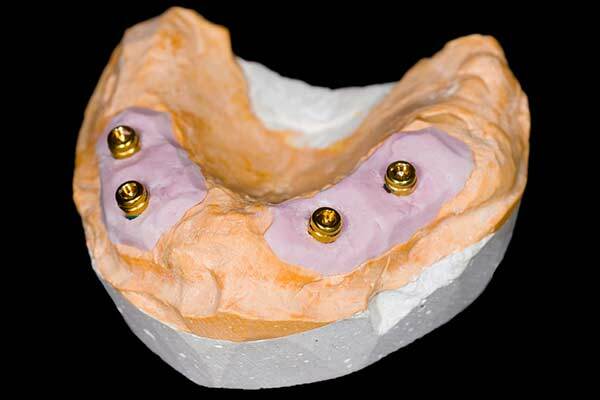 We then use this design to create a surgical guide, which we follow when placing the implants. 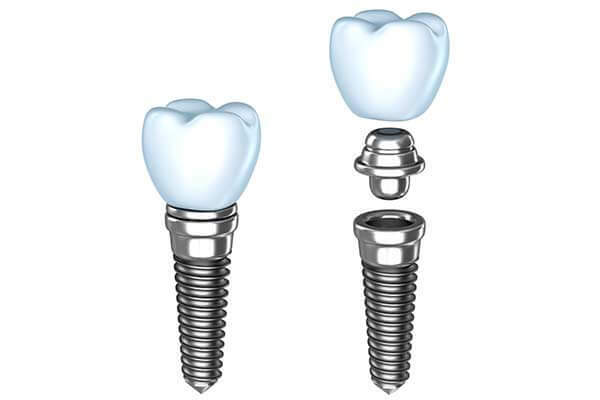 This boosts the efficiency, predictability, accuracy, and even safety of your dental implant surgery. It ensures that both the aesthetics and functionality of your new smile are the best they can be, and it helps you understand what to expect. If you are interested in dental implants in Montgomery, please call 334-277-5498 to schedule your appointment.